AOMEI PXE Boot Tool help you boot multiple clients from one server. Unversal Restore can restore system among dissimilar hardwares. 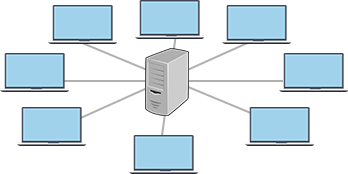 OS deployment software can help computer users backup images of different OS versions and store them in a network share, as well as deploy the images to the new systems. AOMEI Backupper Professional edition is a easy and safe kind of OS dceployment software. It can backup your Windows PC system to NAS or mapped drive, and use AOMEI PXE Boot Tool to boot multiple clients from one Server easily. In this way, you can restore system image in every client without reinstalling Windows PC system. It is very convenient for common user to deploy OS. Supported OS : Windows XP, Windows Vista, Windows 7, Windows 8, Windows 8.1, Windows 10. Make a full backup of current Windows system, and you can choose network share, mapping driver, or NAS as destination path. Restore system images to current system partition or other location. Besides system, you can use it to restore disk, partition and file. An option in Restore setting option will help you to restore and deploy OS in dissimilar hardwares. You can restore single backup image in other any computers. boots many computers from micro system in network. After booting, you can restore or maintain system with tools offered with Windows PE micro system. If your computer system is server, or you want to deploy OS in multiple machines. Please buy AOMEI Backupper Technician or Technician Plus. How to Backup with PXE Boot? How to Deploy PXE Network Boot Windows Server?